No, not the the hotel, Alpina the cow. She a Swiss Fleckvieh and has produced over 100,000kg of milk over the past 18 years. She is the first cow to reach that mark in the municipality of Gsteig as the Swiss Herdbook confirms. 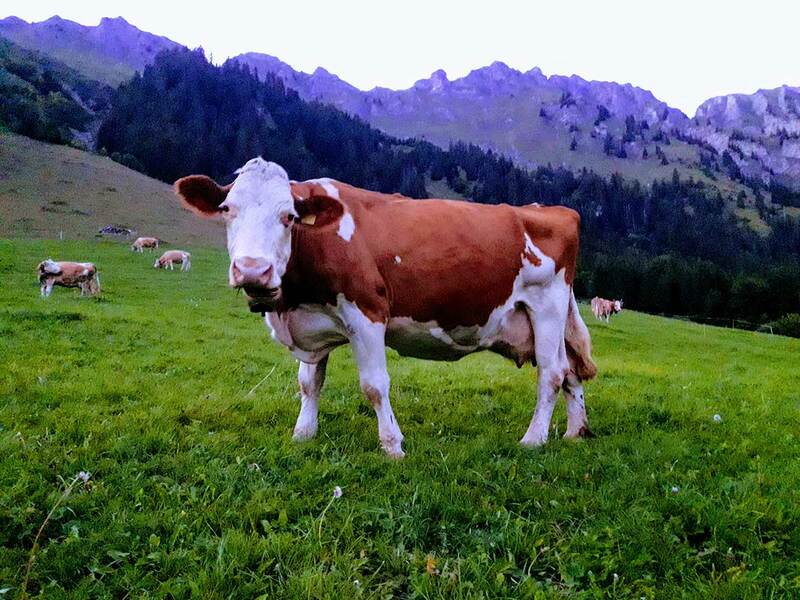 Alpina is a Swiss Fleckvieh, a breed that serves a dual use, milk and meat. They have the typical red colour and pattern also found on the Simmental breed, which comes as no surprise given that they are a cross between Simmental and Red Holstein. Aged three years, Alpina gave birth to her first calf. Overall she's given birth to seven male and seven female calfs. The owner of Alpina, Walter Sumi, is proud and grateful. Alpina has been hardly ever sick and has maintained a very high production level in combination with an amiable character over all these years, he reports happily.